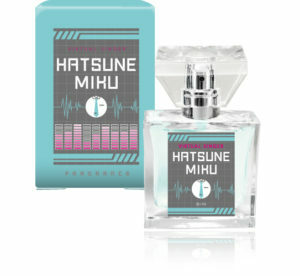 Home / News / Merchandise / Hatsune Miku Fragrance Series from Primaniacs! 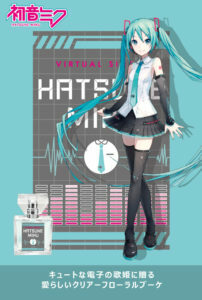 Let’s now talk about something perfume lovers will certainly enjoy just like me, the Hatsune Miku Fragrance series produced by Primaniacs and recently published on their official website! 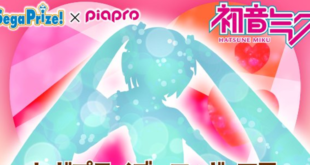 Every Piapro character offers us a specific type of scent and they are totally fitting the vocalist they chose! 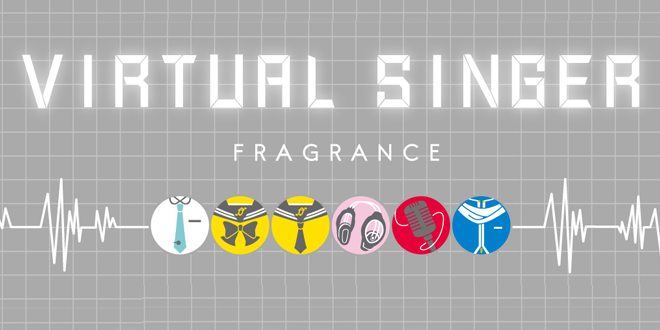 Six fragrances for six characters we love and admire! 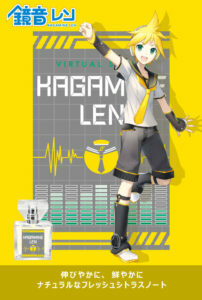 Starting from Hatsune Miku and having Megurine Luka, Kagamine Rin and Len, KAITO and MEIKO following her in this collaboration, every character from the Piapro cast gains it’s own product and scent, describing their undying essence through your senses! 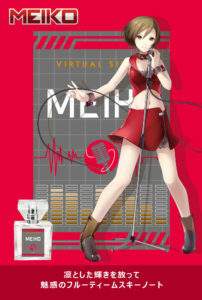 There is no better way to show off your passion! 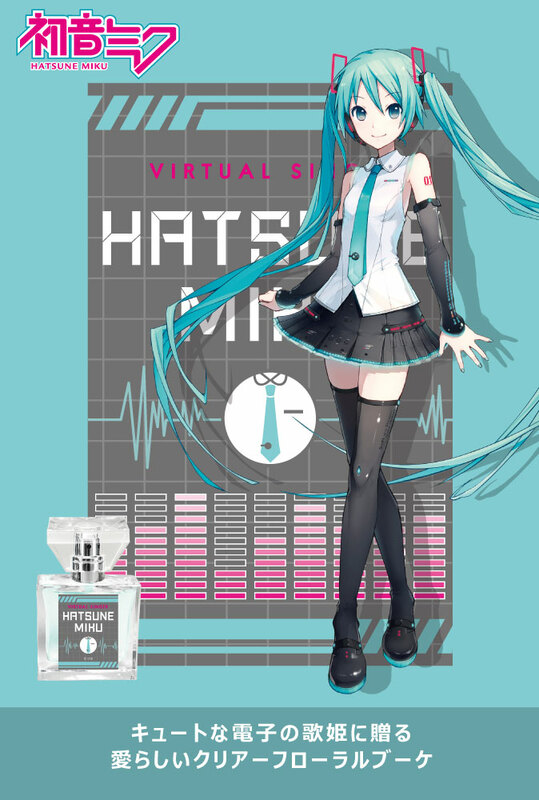 Each of these perfumes are priced at 5,417 JPY and sold in bottles of 30ml. They are introduced with iXima‘s official artworks in their website! 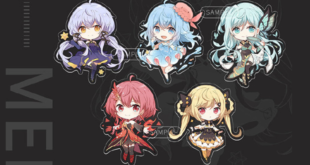 Let’s have a look at them below! 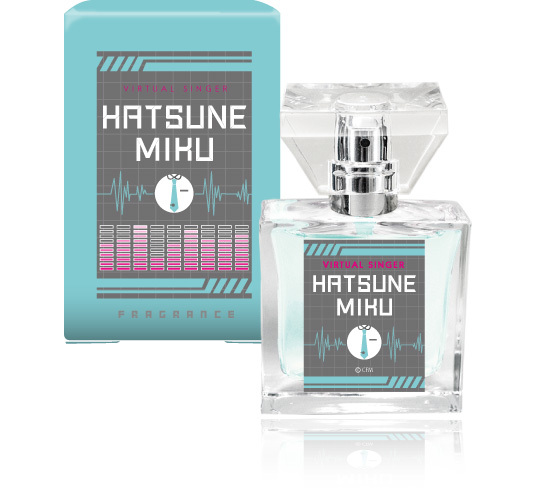 Let’s start with Miku’s perfume, described as a bright and cute bouquet made just for our favorite Virtual Diva! 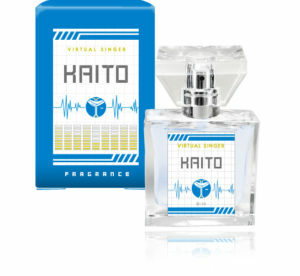 Its refreshing scent is said to remind us of the feeling you get from an opened window during the early summer breeze. 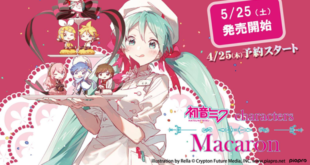 Miku certainly fits this description, as her voice is known to be cute, bright and unique in her own way! Let’s keep going with Rin’s perfume, that shows off all of her charming personality and voice! 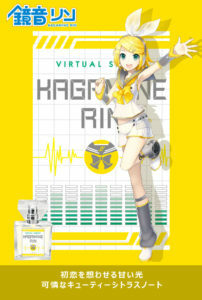 Her fragrance reminds us of innocence thanks to its citrus scent, something that our beloved Rin would certainly fall in love for! Of course Len would share some of his counterpart’s traits, this perfume makes no exception to the rule! 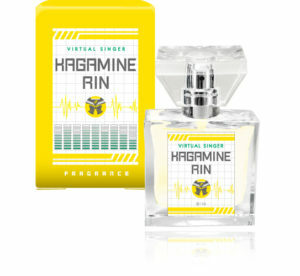 His vivid and juvenile personality reflects on his own product as well, which shares the same citrus-type of scent as Rin. As we may have already expected by Luka’s perfume, the moment we noticed she was included as well, her fragrance is a gentle mix of berries that slowly fades in a more intense cyclamen scent, giving us a sense of peace and relaxing our senses. 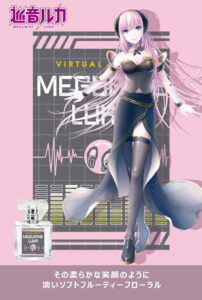 Her mature yet mysterious figure totally would use this product! Let’s now admire MEIKO’s perfume in all its splendor! Her scent shows off so much passion thanks to its mix of mandarin and cassis, giving it a vivid yet sweet aroma. This gentle essence calls to mind those garden blossoms in all of their vivid colors, such a nostalgic yet marvelous memory of the past. 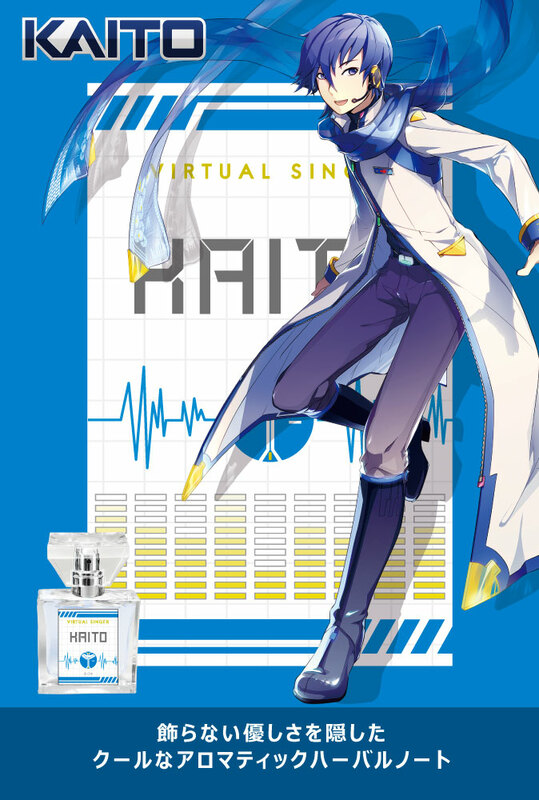 Last but not least, we have KAITO that gifts us a perfume filled with calm and elegance, thanks to herbs and a pinch of amber’s scents! 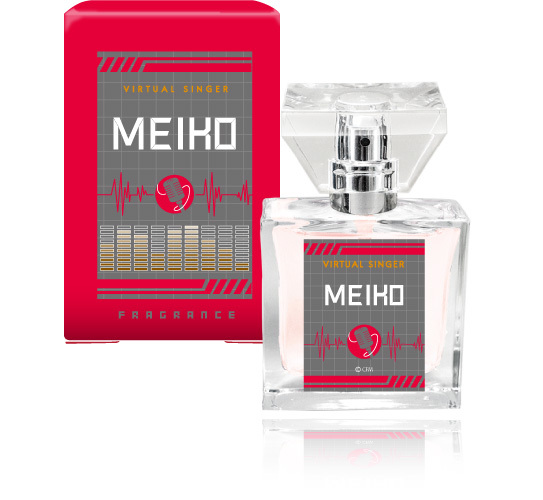 This fragrance’s strong point is probably its simplicity! 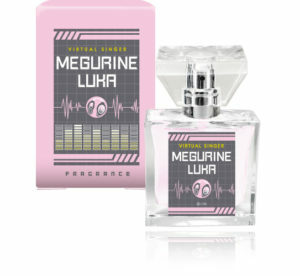 Each of those perfumes will be available starting from April 45th, 2019! 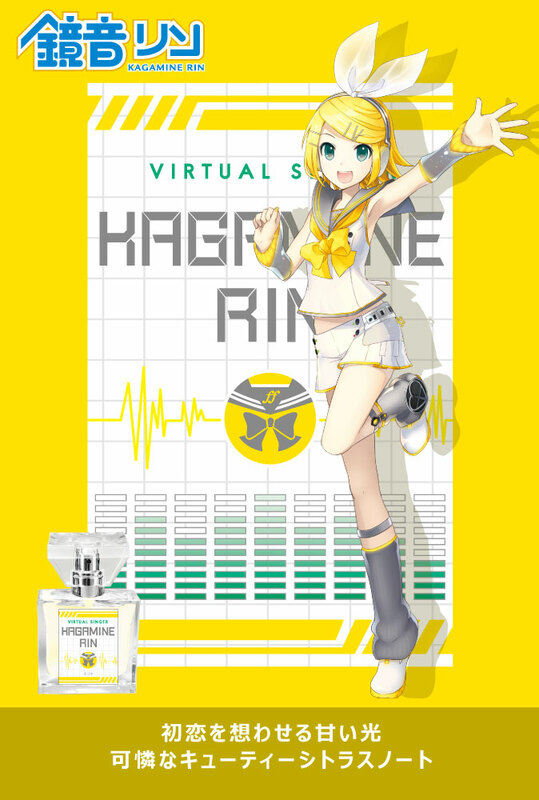 However, the shop doesn’t offer its product overseas, so you may want to ask help from a friend who lives in Japan to get them. Let us know if you manage to get a hold of them! Stay tuned with us on VNN for any update or news about you favorite virtual Singers!